Up until the five-sixteenths pole of the Kentucky Derby Presented by Yum! Brands (gr. I), Gary Stevens was envisioning a fairy tale victory aboard the D. Wayne Lukas-trained Oxbow only five months after returning to the saddle following a seven-year retirement. But that image lasted only about three or four seconds. Oxbow had expended too much energy moving up into a suicidal pace set by the newly blinkered Palace Malice. After turning into the stretch, all Stevens could do was sit back and watch Orb storm past everyone en route to a popular two-length victory. 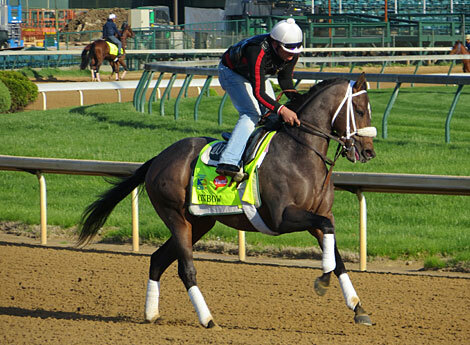 If Stevens had any immediate thoughts of turning the tables on Orb in the Preakness Stakes (gr. 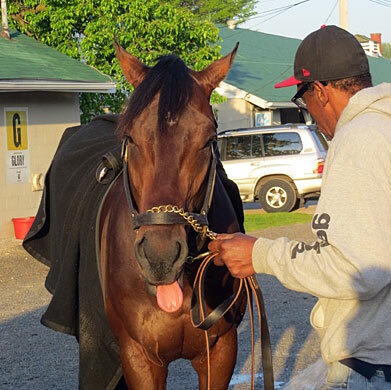 I), he quickly got a reality check when he saw firsthand how the Derby winner pulled up after the race. 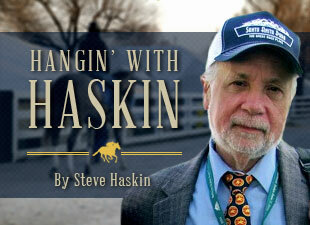 “Orb was still a fresh horse after the race, and the reason I know that is, he wasn’t looking to pull up,” Stevens said. “When the outrider came up next to him to pull him up, Orb was like a 2-year-old going, ‘What are you doing?’ He propped under Joel (Rosario) and I was right behind him and almost ran over the top of him. Stevens certainly is not conceding the second leg of the Triple Crown to Orb and is looking forward to taking him on again at Pimlico with a colt he is learning more about with each race. So far, it’s been trial and error with Oxbow, a horse with a powerful engine who can get very aggressive when pumped up. But after the Arkansas Derby (gr. I) and Kentucky Derby, Stevens should have a good handle on him, and if the two can get on the same page for the Preakness, expect a huge performance. Stevens thought on a couple of occasions that was going to happen in the Derby, not only at the five-sixteenths pole when he disposed of Palace Malice, but before the race as well. But being aboard Oxbow before and after a race is not quite the same as being on Oxbow during a race, as the son of Awesome Again has had to overcome horrible posts, moving too soon on several occasions, and being taken back to last, which is not where you want to have a horse with his natural speed. If you want to know what bad posts are all about, just look at Oxbow’s past performances. In his last six starts, all around two turns, he has had to break from post 10 three times and post 11 once, losing a ton of ground each time. Those would have been great posts in the Kentucky Derby, but he went the other way and drew post 2, winding up on the dreaded rail following the scratch of Black Onyx. In addition to his bad posts and getting hung very wide on the first turn, he moved too soon in the Risen Star (gr. II) and Rebel (gr. II), and then with Stevens aboard for the first time in the Arkansas Derby, he wound up last from the 10-post in the 10-horse field, which is a complete deviation from his normal style of running. Stevens was impressed with Oxbow’s sixth-place finish, considering the fact that on that sloppy sealed track, he ran testing fractions of :22 4/5, :46, and 1:10 4/5 and was the only one of the early pace factors to finish in the top half of the field. The others – Palace Malice, Verrazano, Itsmyluckyday, Goldencents, and Falling Sky – finished 12th, 14th, 15th, 17th, and 19th, respectively. As a result of the brutal pace (:22 2/5, :45 1/5, and 1:09 4/5) the first five finishers – Orb, Golden Soul, Revolutionary, Normandy Invasion, and Mylute -- came from as far back as 17th, 15th, 18th, 12th, and 18th at one point in the race. “I was real proud of Oxbow,” Stevens said. “He has a huge tank, and what was great about him is he had every right to just chuck it in, as the rest of the pace horses did, and he battled on to the finish line. 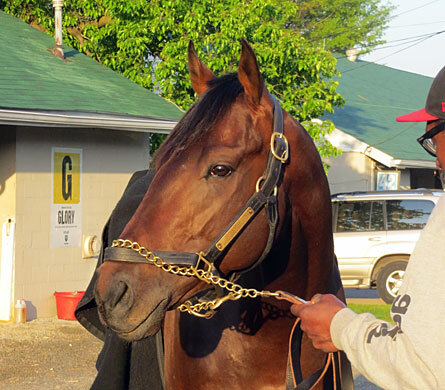 We know what Oxbow is capable of and how dangerous he can be when things go right for him. After all, the only time he drew a good post and had a good trip was in the LeComte Stakes (gr. III) and all he did was win by 11 1/2 lengths, demolishing eventual Kentucky Derby runner-up Golden Soul. 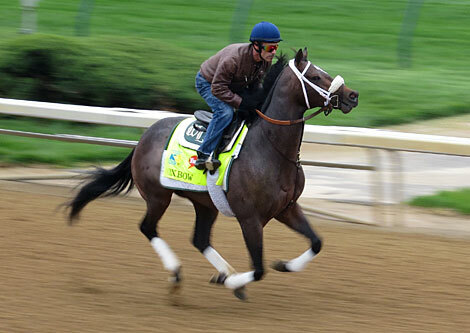 We know what Lukas and Stevens are capable of in the Preakness, having won the second leg of the Triple Crown seven times between them, with Lukas winning five of them. Heck, even the name Calumet Farm, despite the owner and colors change, is a part of Preakness history, with seven victories. So, that’s a total of 14 Preakness wins for the owner, trainer, and jockey. If Oxbow can escape the post position draw unscathed for a change and gets a typical Gary Stevens classic ride, who knows what this horse is capable of? Oxbow about to break off in his work with Gary Stevens aboard. Lukas' pair of Oxbow (left) and Will Take Charge will try Orb again in Preakness. Oxbow can be a bundle of energy in the morning. 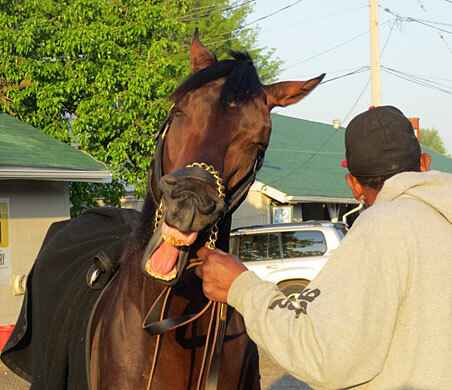 Orb displays the radiant smile of a Kentucky Derby winner.